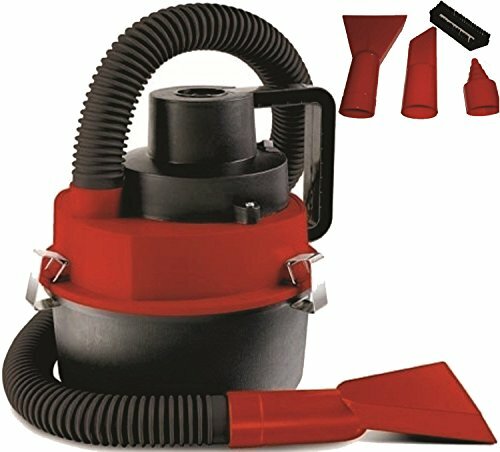 The PrimeTrendz TM Car Vacuum is a powerful 12-Volt DustBuster for quick pick ups. The unit boasts flexible hose and accessory tools so you can vacuum in hard to reach place at your convenience! The upholstery brush makes car care easy and a crevice tool is included for reaching into narrow spaces. Made by USA CASH AND CARRY - PrimeTrendz TM. Easy plug-in operation with an extra-long 7-foot power cord for greater reach during cleaning. Powerful & Durable Motor Can pick up wet and dry debris. We recommend you to purchase from USA CASH AND CARRY. Warning!! !...Don't be fooled by listings other than USA CASH AND CARRY. Made Exclusively by USA Cash and Carry - PrimeTrendz TM. If you have any questions about this product by PrimeTrendz, contact us by completing and submitting the form below. If you are looking for a specif part number, please include it with your message.